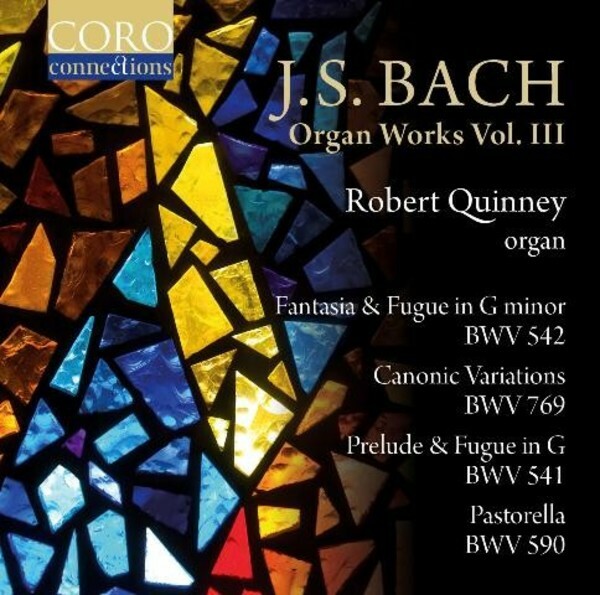 Following two highly acclaimed recordings, Coro is delighted to be releasing its third album with one of The Sixteen Orchestra�s principal members - organist Robert Quinney. This new album, recorded at Trinity College, Cambridge, on the beautiful Metzler Organ, features as its centrepiece the wonderful Einige Canonische Ver�nderungen �ber das Weynachts-Lied �Vom Himmel hoch da komm ich her� (BWV 759). These wonderful festive variations, which are full of passionate vitality and poetical feeling, are accompanied by a selection of preludes and fugues.